It is a standalone tutorial in which the focus is to set up your own deep learning project in Azure, to “get your hands dirty” and so to get more familiar with subject. The focus is less on the internal working of deep learning, latest algorithms or Computer Vision APIs. In case you more interested in devops for AI, refer to the previous blogs, here and with focus on security, see here. The following resources need to be created in the same resource group and in the same location. The following steps will be executed in this part. In this tutorial the CIFAR-10 data is used to train the deep learning model. In the first model, a subset of 2000 pictures will be used. Subsequenlty, a second model will be created that uses the full CIFAR-10 dataset of 60000 pictures. 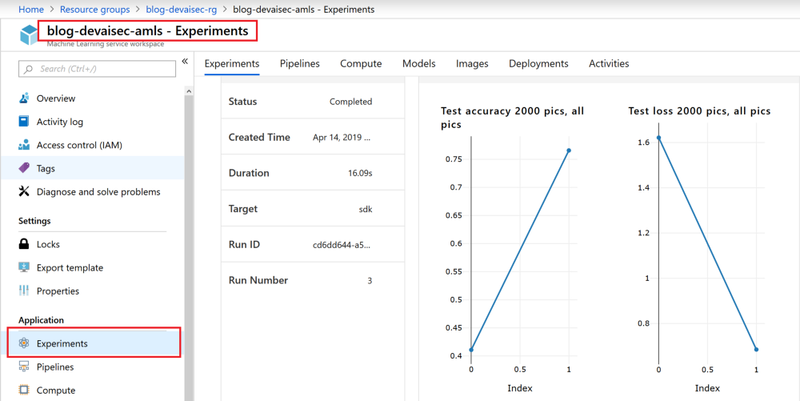 To illustrate how to use Azure Storage in combination with Azure Databricks, the subset of 2000 pictures will be stored in the storage account. Therefore, go to the following URL to download a subset of 2000 pictures in a zip file. Go to the Azure portal and select your storage account. Then select blobs and create a new container named “2000picscifar10”. Subsequently, upload in the zip file you downloaded earlier into your container. Subsequently, go to Access Keys and copy the key or your storage account. Then attach notebook to cluster you created and then click SHIFT+ENTER to run to it cell by cell. When you run the notebook succesfully, you can see an overview of the predictions (red are wrong predictions). Running GPU clusters can be costly. 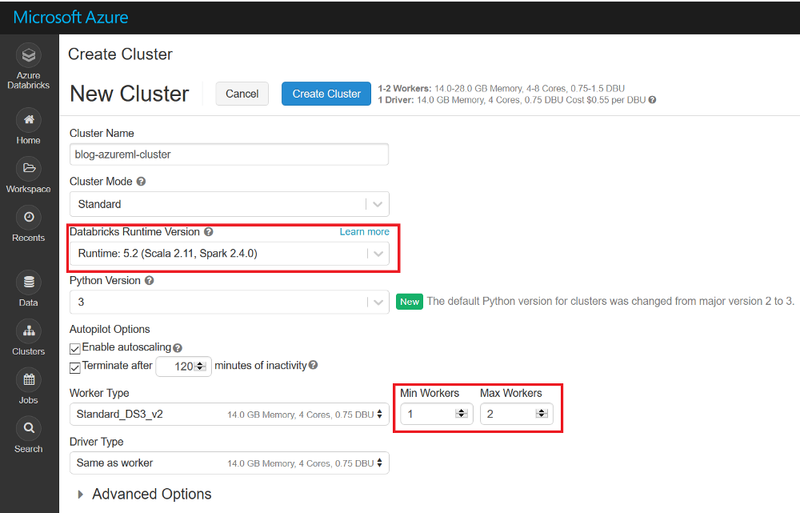 Since we do not need the GPU cluster in the remaining of this tutorial, we can stop it. Therefore, go to your cluster and select terminate. The following steps will be executed in this part. Notice that Azure Portal is used whenever possible. To deploy our model, we need a couple of libraries. Go to your shared folder, right click in the shared and select to “create library”. 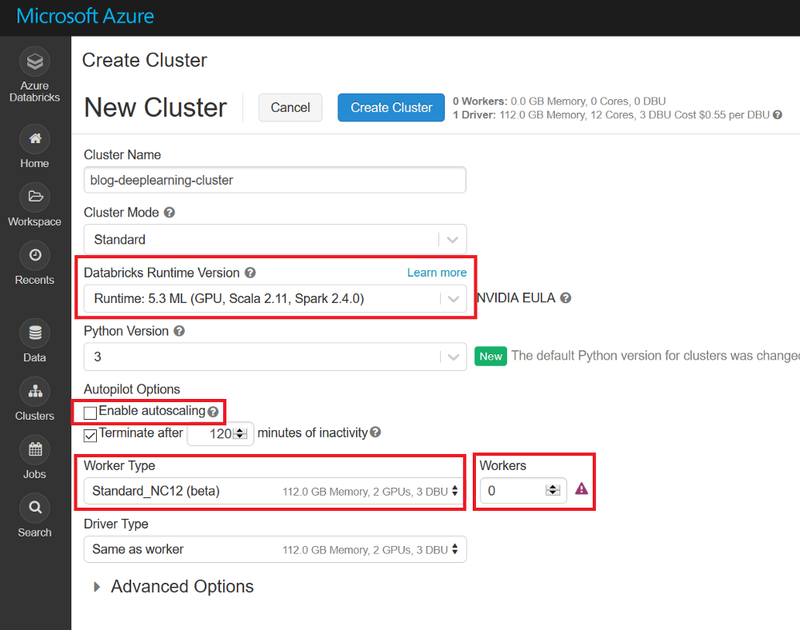 In this step, the model and its metrics wil be added to your Azure ML service workspace. 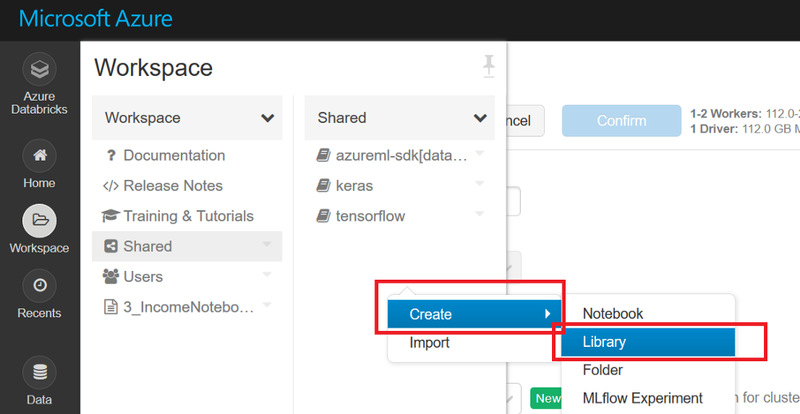 Import the following notebook in your Azure Databricks workspace. Open your nodebook and change the following settings of your Azure ML service workspace (subscription id can be found in the overview tab of you Azure ML service workspace instance). Again, change the parameters similar as in step 5c. In this notebook, an endpoint is created of the model that was trained on all pictures. When you go to portal, select Azure Container Instance, you will find the IP adress of the endpoint. Send base64 payload with a tool like Postman to create predictions. The following picture shows a picture of a ship, converted to base64 and sent with Postman to create prediction using endpoint. Deep learning has a lot of practical applications for enterprises. However, it can be daunting for enterprises to start with deep learning projects. Creating your own sample project and “getting you hands dirty” is a great way to learn and to get more familiar with the subject. Finally, big thanks to my colleague Ilona Stuhler who was so kind to provide me crucial insides in the subject and to donate her project to me.